How much of Nigeria’s budgetary allocation should go to the education sector? The answer should be a 100 per cent – and that is only a start. This, of course, is not practicable for obvious reasons. Besides, we know that reducing the problem with education in Nigeria to funding is dubious diagnosis. Notwithstanding, education in Nigeria – at the federal, state and local levels – needs every kobo it can get. It is heartening that education is getting a sizeable chunk of the 2016 budget – N369bn – but other factors considered, this is short compared to the past few years when the sector received more: 2011-N306bn; 2012-400bn; 2013-N427bn; 2014-N493bn; 2015-N492bn. Worse is consideration that the depleted value of the naira makes the amount worth far less than in 2014 when allocations to education peaked. We should therefore expect to be squeezed around the belt area in every sector of the economy in 2016 due to further anticipation of fall in the price of oil. When President Muhammadu Buhari presented the 2016 budget recently, he mentioned a few initiatives that were supposed to improve the quality of education in Nigeria. One was to recruit 500,000 unemployed graduates and National Certificate of Education holders as teachers and deploy them to mostly rural areas to solve the lingering problem of unemployment. As an emergency measure, this idea is laudable considering that there is a global shortage of teachers especially at the primary education level. A 2014 study by UNESCO posited that the world needed four million teachers by 2015 and 12 million by 2020. This lack of qualified teachers is worse in sub-Saharan Africa and Nigeria is one of the badly hit cases with studies indicating that the country needs to spend $1.8bn to shore up her teaching force. Nigeria doubtlessly needs teachers urgently. If the Federal Government will indeed work with state and local governments to train and deploy those teachers, then they can ensure that they meet the needs of localities at the required levels. There is however some problem with such audacious recruitment drive of 500,000 people without a timeline. Logistically, it is impossible to effectively recruit, train and deploy that number of teachers in a year. That kind of massive recruitment should be in phases – probably spread out over a five-year period so that the process can evaluate itself as it goes on, reflect on shortcomings and adjust accordingly. Another problem is that gunning for “unemployed” graduates is not exactly a tactful thing to say. (How will their recruitment dragnet even separate the employed from the unemployed?). Obviously, the Federal Government is using this proposed recruitment as a double-edged sword to cut through problems in the education sector and also mop up the rising mass of unemployed graduates. However, reducing teaching to a job for people who have nowhere to go – whose dreams are evaporating due to the country’s dire situation – is indiscreet and likely to create psychological issues for the teacher to be recruited and the students to be taught. Teaching should be treated as a profession, not a measure to salvage those who are dead-ending so they can at least eat. The only thing worse than not having a teacher is having a shoddily trained one entrusted with your future. Already, what is called public education in Nigeria these days can do with a lot of regular teacher retraining; piling up deadwoods will only do more harm. The end goal should be to revamp education, not merely distributing employment letters. For 2016, it is highly important that the intervention in the education sector be not limited to showy strategies such as recruiting a staggering number of teachers and feeding schoolchildren. Education needs far much more – from rehabilitating structures to provision of certain amenities like libraries, laboratories and decent classrooms with desks and chairs. These are things that many public schools in Nigeria have learnt to forgo while raising generations of children who have neither the memory nor imagination of these basic infrastructures. They were born after the year the locust began to pillage the Nigerian plantation and they have grown accustomed to rot, as if inhabiting pigsties called classrooms is their destiny. To begin to dig these children out of the hole the country long dumped them requires concerted and creative efforts especially in view of Nigeria’s economic woes. The other part of intervention in education as indicated by Buhari is the proposed free education for students in science, technology and education programmes. For one to make a reasonable critique of this plan, it will be useful to have a comprehensive blueprint of Nigeria’s education plan. The government should produce a well-mapped out plan of proposed policies and what they are meant to achieve in about two-, five-, and ten-year phases. For instance, what will making tertiary education free for the above named categories of students achieve? If this policy will affect only federal tertiary institutions, what will be the point considering that those schools are practically tuition-free? What students pay for that shoot up their school fees are supplementary costs which include acceptance fee, registration and accommodation among others and in a place like the University of Nigeria, Nsukka, the N75,000 imposed on people as cost of laptop. From my experience, those who pay the bulk of money in federal universities are actually postgraduate students. Will this free education extend to them? Or they are the prime consideration? The idea of free education at the tertiary level has uses for a programme like education considering it is not primarily a course of choice for students. Studying education predetermines your career – that you will almost always end up a teacher and not everyone considers this a desirable fate. To boost education, students should be enticed to the programme with incentives such as scholarships, bursary and job opportunities. That way, Nigeria can have a guaranteed supply of rightly motivated teachers in the pipeline rather than one-time recruitment of an army of unemployed people. If, however, the idea is to encourage more students to study science or technology courses, then it is largely needless considering that those programmes in Nigeria are already oversubscribed and a sizeable number by students who should be elsewhere. If the point is to boost the study of science and technology in Nigeria, then it is merely tokenistic. For starters, the “smartest” countries in the world in science and Maths design their education from the bottom up. Today, Asian countries like Singapore, South Korea, Japan, Hong Kong, China, and European countries like Finland, the Netherlands, Switzerland, have made progress that far outstrips reputedly smart countries like the United States, the United Kingdom and France. This is neither coincidental nor arbitrary. Apart from concerted efforts to boost their education (which includes heavy funding), they built their pedagogical approaches on cultural, historical and social factors. While I will not advocate a wholesale borrowing of their strategies, I say there is a lot Nigeria can learn from them. To be an educationally smart, science-oriented country – not the one where students massively fail every year – Nigeria will need the help of subjects like art and music that boost creativity and work their learning into the curriculum at elementary and secondary levels. Boosting science will hardly happen through an undue privileging of science over the arts or humanities such as giving a section of students scholarship and overlooking others when all are disadvantaged by a lopsided educational system. 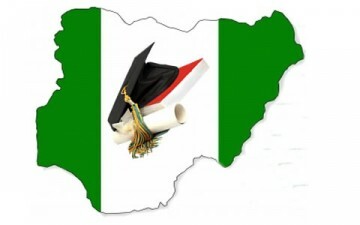 Anyone who schooled in Nigeria will testify to how rigid the pedagogical approach can be, stifling and orienting towards cultivation of existing knowledge rather than critically advancing it. Nigeria currently lags far behind on indices that measure national educational progress, ranking behind countries like Ghana and South Africa. That alone should propel us to be better, working on various aspects of our teaching methods to promote independent thinking and stimulate creativity.